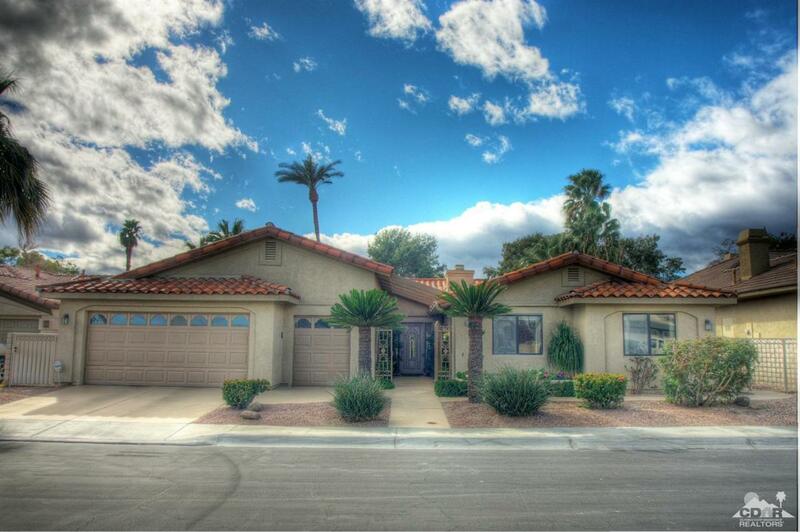 HUGE Price Reduction on a Desert Paradise Custom Home. This magnificent 4-Bedroom, 3-Bath Custom home impresses upon entering. From the foyer your eye is drawn to the outdoors. 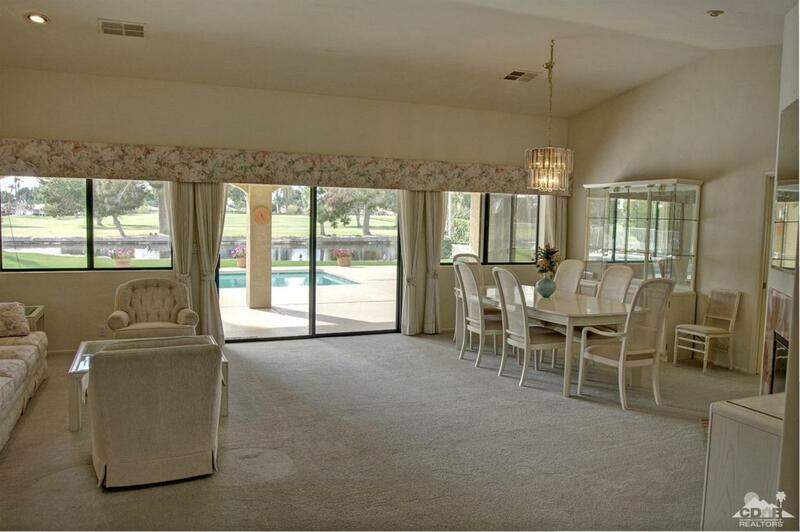 A south facing yard with covered patio, pool and spa, pond, triple fairway views and majestic mountain views. From the foyer this home opens up to a spacious living room/dining room and family room. L/R and Family room share a see-through fireplace for added ambiance. 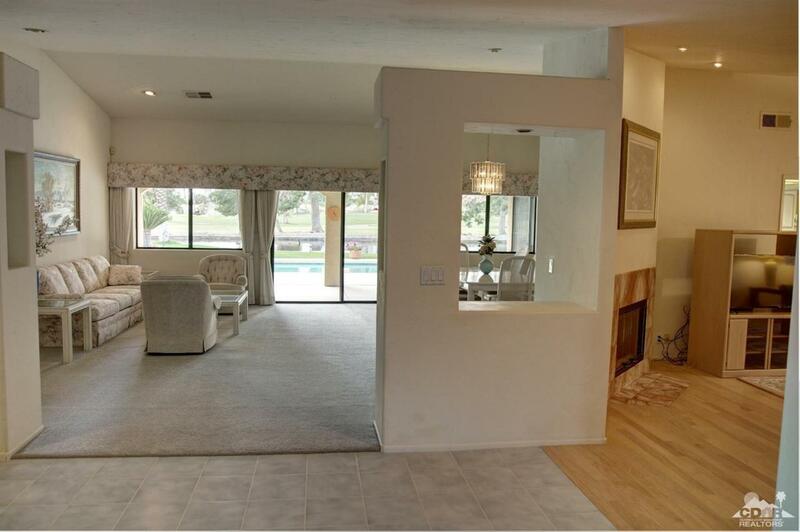 L/R and family room open to a large kitchen and breakfast nook. One side of the home hosts the master suite and for optimal privacy the additional three bedrooms are on the opposite side. A spacious three car garage with room for your golf cart. A leased solar system insures lower electric bills.This unique and beautiful home is sure to please.